A solution for almost ANY location, the Mobile Sentry HD is fully ruggedized, completely self-contained, NOW available solar powered. Works with cellular data from major wireless carriers. 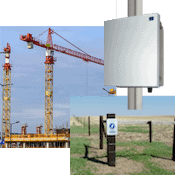 CheckVideo provides cost-effective 24/7 monitoring of sensitive remote areas for utility companies. Alerts can be sent to a monitoring center or directly to security personnel for immediate threat assessment and response. The Outdoor Mobile Sentry HD is a self-contained, cloud-based, wireless intelligent video surveillance solution that only requires power and cabling to be added. It replaces many conventional video surveillance products and provides one-stop intelligent video surveillance in virtually any outdoor or remote location, even in the absence of security and IT infrastructure. 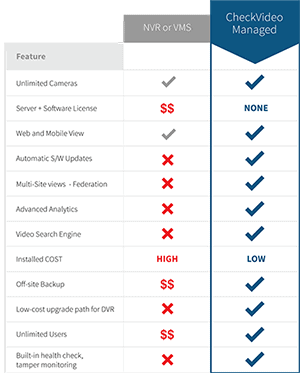 The systems connects to the Internet via 3G or 4G/LTE digital cellular access, and, like all other CheckVideo products, uses data/bandwidth very efficiently, only sending video clips to the Cloud for storge and retrieval when the clip represents a defined user event. A completely ruggedized product, the Outdoor Mobile Sentry HD can be placed anywhere an acceptable cellular signal can be obtained. And because it does not required wired power, it is ideal for remote construction sites, the protection of large outdoor assets and critical infrastructure providers (dams; utilities; oil & gas) who need to extend their perimeters to protect larger areas.